I arrived late for the summer open house at the Bronx Museum, when security guards had already started to urge people out. Breaking through the embrace of a lively crowd chatting with drinks in their hands, I headed directly to the terrace to see Heidi Lau’s The Primordial Molder. The outdoor installation, a giant, snake-shaped “creature,” glimmering in the still bright light of the summer evening, came into view. The curved body of its semi-architectural form naturally arranged us in a circle surrounding it, demanding we admire it from a distance. I was tempted to walk into it to examine the mysterious metallic color, but the fragile nature of ceramic made me hestitate. What exactly I was looking at? Heidi Lau has focused on ceramics as an artist. While some ceramic artists make pots and jars, Lau has developed her practice in a direction that is entirely non-utilitarian. 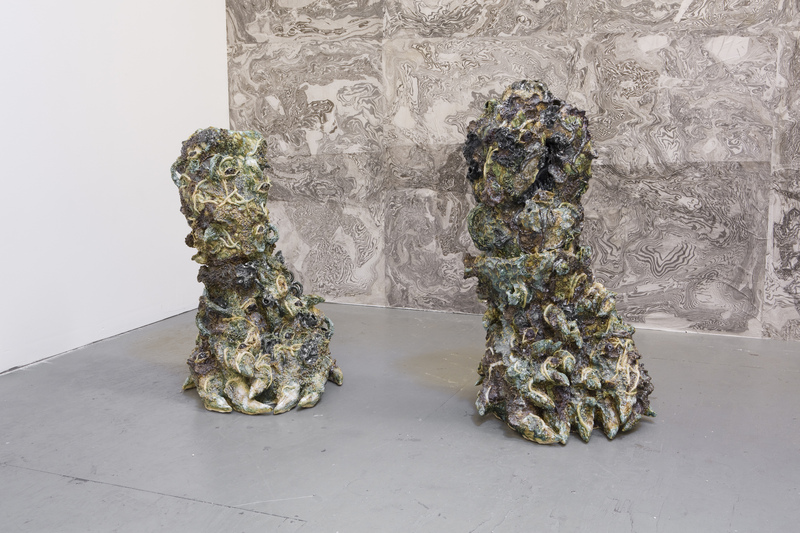 Painstakingly molded piece by piece, glazed, and assembled, Lau’s dense and textured ceramic sculptures almost always have an alien air around them. 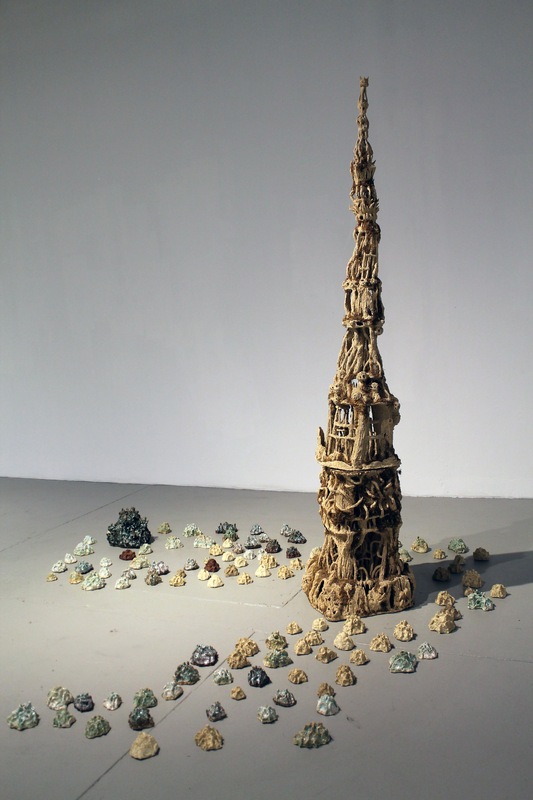 Significantly influenced by her upbringing in Macau, her work often resembles ritual objects, animal fossils, and ancient ruins that echo the changes in history in the place where she is from and the provincial superstitions in which she was immersed as a child. 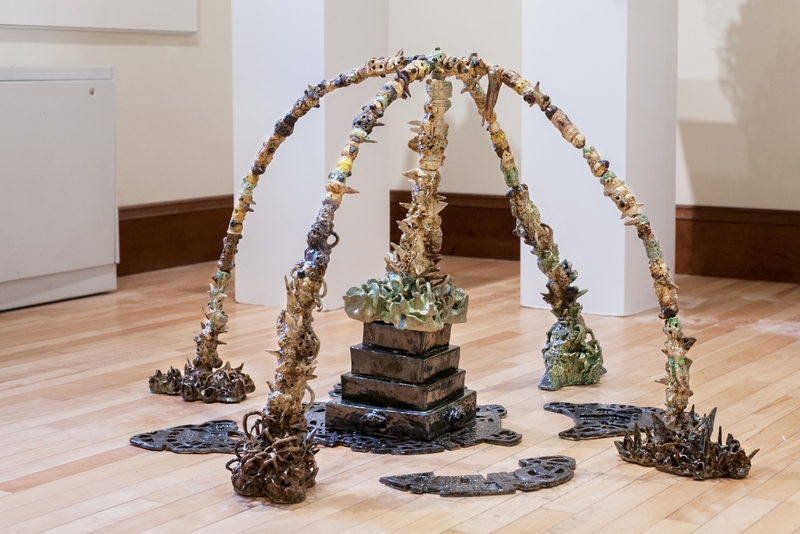 Last year at Deli Gallery, where she filled the space with nostalgic imagery of her hometown Macau, gallery visitors were also greeted with eerie, freestanding feet of unknown creatures which appeared to have been excavated from archaeological sites. For Sour, Sweet, Bitter, Spicy: Stories of Chinese Food and Identity in America, which just closed at the Museum of Chinese America, she fired up representations of regional Chinese cuisines, and the (unfortunately) non-edible delicacies made up a lavish “dinner” that whet our appetites and curiosity. The installation at the Bronx Museum was inspired by a Taoist myth that might sound familiar to many with Chinese roots. In ancient times, humans on earth suffered because of a flood caused by a giant hole in the sky. Nüwa (女娲), a goddess with the body of a snake, saved humanity by patching the hole with five-colored stones and supported the collapsing sky with legs of a humongous turtle. Going beyond the myth and the goddess’ empathy, Lau’s ceramic recreation of Nüwa’s form actually lands on the concept of life’s infinity through endless cycles — the symbolism being derived from the curved body resembling the head of a snake chasing its tail. It took Lau three months to mold and fire the sections of the work at the Bronx Museum before assembling them into the almost six-foot tall body. When earth met fire in the kiln, the applied glazes turned into something beautiful, but sometimes also unpredictable and unexpected. Looking at The Primordial Molder in the subtle light of dusk, I almost sensed Nüwa’s existence and felt that she is watching over me. 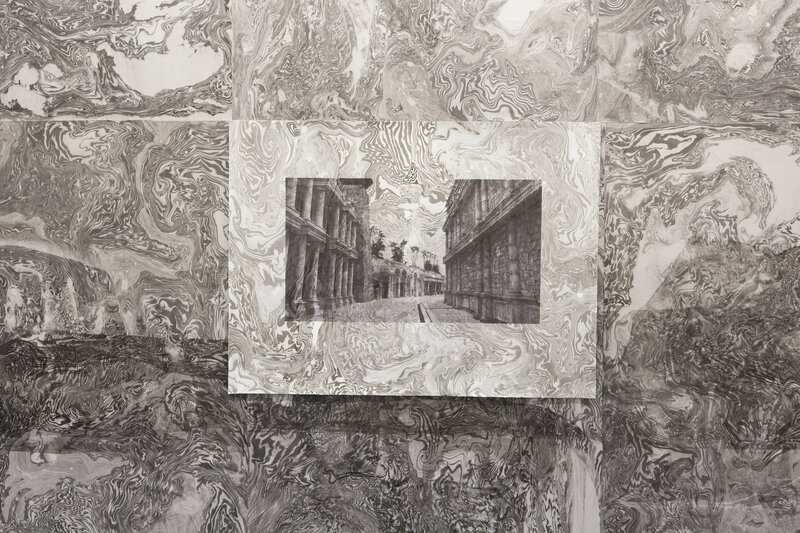 After seeing many of Lau’s works, I could not help wonder what enables her to make these one-of-a-kind works of art. I interviewed Heidi Lau over email, wanting to know more about the personal narrative on her art and life. Was New York your first destination when you came to the States for school? If so, why New York? New York was indeed my first destination. I was excited about the prospect of living in a big city but it’s also because of practical reasons—I cannot drive so I need a city with a subway system! Among all the mediums, why ceramic? 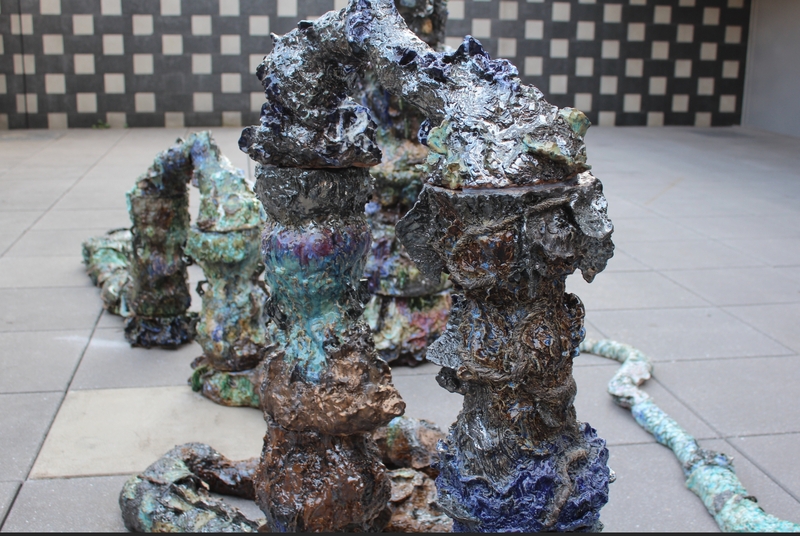 Were you particularly inspired by a ceramic artist during your BFA years? Clay is a both a beautiful and grotesque material. It is one of the oldest and most universal material associated with productive and artistic labor—I believe that work formed from clay is the materialization of the past and it suggests the reconsideration of human activities at large. It is also the most versatile and intuitive process I have ever worked with. I did not study ceramics during my BFA years so I was not particularly following any ceramic artists but I have always been drawn to the ceramic work of Eugene Von Bruenchenhein. 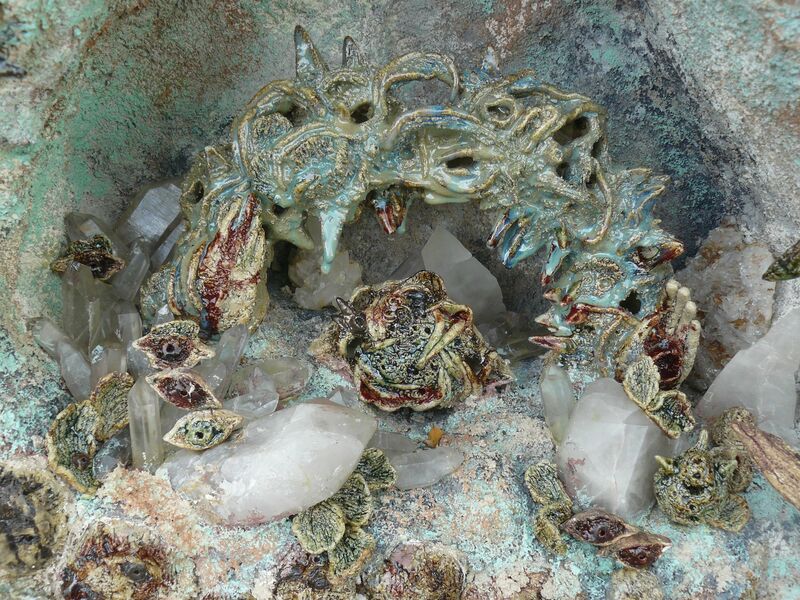 From giant foot of mysterious monsters, ritual objects to funeral monuments, your sculptures seem to constantly refer to Taoist mythology or even superstitious traditions, why? How is it related to your upbringing in Macau? My grandparents were very devout Taoist—my great grandpa was once one of the founders of a Taoist Temple in Guangzhou, but it was shut down during the Cultural Revolution and he escaped to Macau. My grandma was gravely ill as a child and in order to save her life, her parents hired a Taoist priest to perform a ritual that made her the goddaughter of a Lord of Hell (閻羅王). She recovered soon after and took on that identity for the rest of her life. Whenever we visited temples, she always told us to greet the statue as god grandfather. I sense a strong familial connection to the Taoist underworld and the idea of ‘ghost’ because of grandmother. And the ideas of haunting, crossing of and returning from a certain border, threshold or worlds are something I go back to in my work constantly and naturally because it is so ingrained in me. For the Bronx Museum show, you’ve recreated the image of Nüwa the Snake Goddess, who saved the suffering human beings by fixing a giant hole in the sky. In addition to a continuation of your artistic practice, is there any particular real-life significance or reflection embedded in this piece? Thinking about and working with the creation myth of Nuwa has been a way for me to recenter and reconsider certain narrative and worldview that is important to me. Last year I experienced two very painful loss in the family so I was thinking a lot about matriarchy. Some of your works, for example, Third Rome, mourns the lost glory of Macau. Now living and working in a place far from home, would you feel like a person “in-between,” given the overflowing sense of nostalgia and the calling for home in your work? Very much so. Nostalgia only exist for the “in-between” person, who mediates between the local and the universal. The type of nostalgia I am interested in not only points backwards to a spiritually whole place/home, it is also the longing for a different rhythm of time. Perhaps it’s a willful rebellion against the modern idea of progress and refusal to surrender to the irreversibility of time. All your works are painstakingly crafted by hand and take a long time to make. How do you balance the work/life as an artist, especially in a city like New York? I have always put producing and improving my work in the first place, and just try to fit everything else around it. I am very lucky to have very talented and supportive people around me that keeps me going. I am currently working on my first video project about Jiangshi (僵尸, zombie) which will be screened at BRIC in November. I grew up watching ghost and Jiangshi movies and TV from Hong Kong. The “history” of Jiangshi is really interesting to me because it is so rooted in the fear of not being able to be properly buried at one’s hometown. It came from the folk practice of transporting a person who died far away from home by having a Taoist priest to conduct a ritual to reanimate the dead person and teach him/her to “hop” their way home. This piece is still very much in progress but so far it would include scenes of my version of Jiangshi interacting with sculptures of mine, inaccurate reenactment of Taoist ritual, footages of grottos in Macau and the annual Hoyu parade in Philadelphia. I also just found out I will be included in a Gothic show at the Lehman College Art Gallery this fall. The Primordial Molder continues at the Bronx Museum through October 22, 2017.